This mask is becoming a quick favourite of mine, it's simple it has only three ingredients Oryza Sativa Powder (Brown Rice), Hibiscus Sabdariffa Flower Powder (Hibiscus), Pelagonium Graveolens (Rose Geranium), not tested on animals and it's organic. All I have to do is add water to approx one tablespoon of powder, mix to an even paste & apply all over my face and underneath my chin. 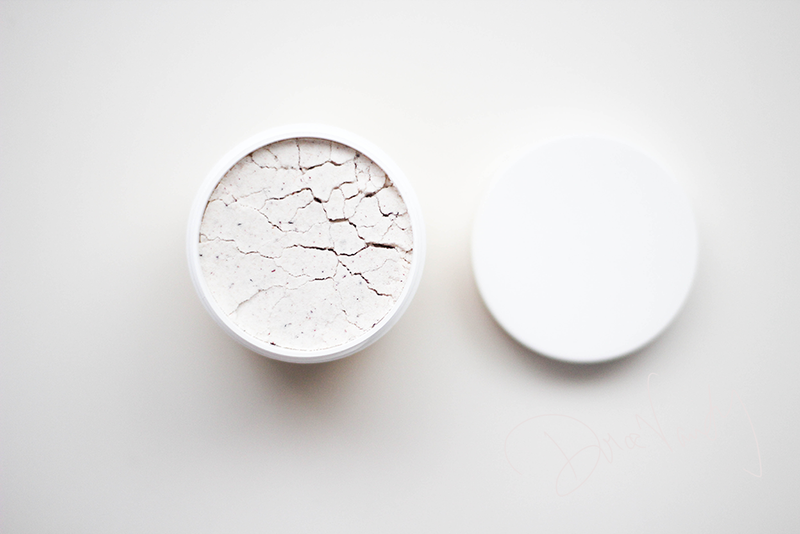 I leave it to dry completely before using warm water to dampen the mask slightly, I begin to massage the mask over the skin giving it an exfoliating wash before completely cleaning the face. Afterwards my skin feels smooth & clean. I especially like to use this when my skin is more on the oily side to draw out any impurities that may be lying deep down in my skin, as I'd like to prevent any spots as often as I can. 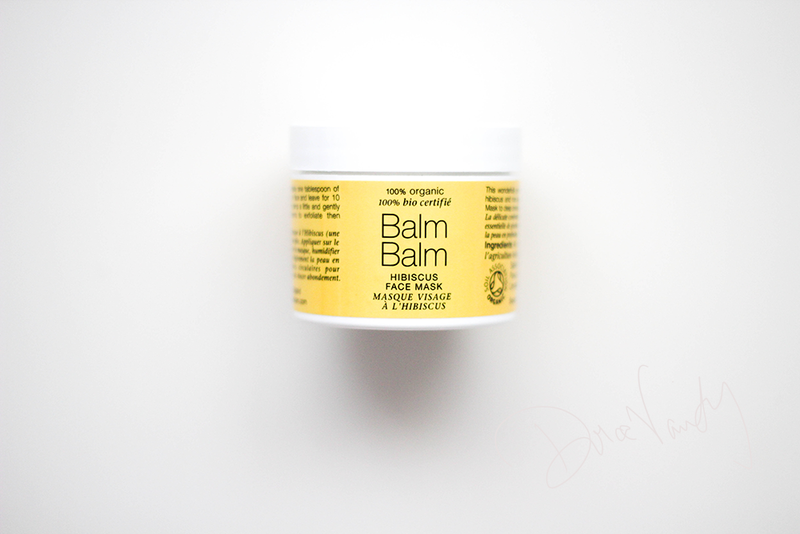 Have you used anything from Balm Balm before? I have this, although I've only used it a couple of times! It's very 'scrubby' so I'm careful to sort of pat it onto and off my face. I might use it tonight actually! I'm new to the 'add-your-own-water' masks but so far I'm a fan so I'll be keeping an eye out for this in the future as I really want to try the Balm Balm brand.